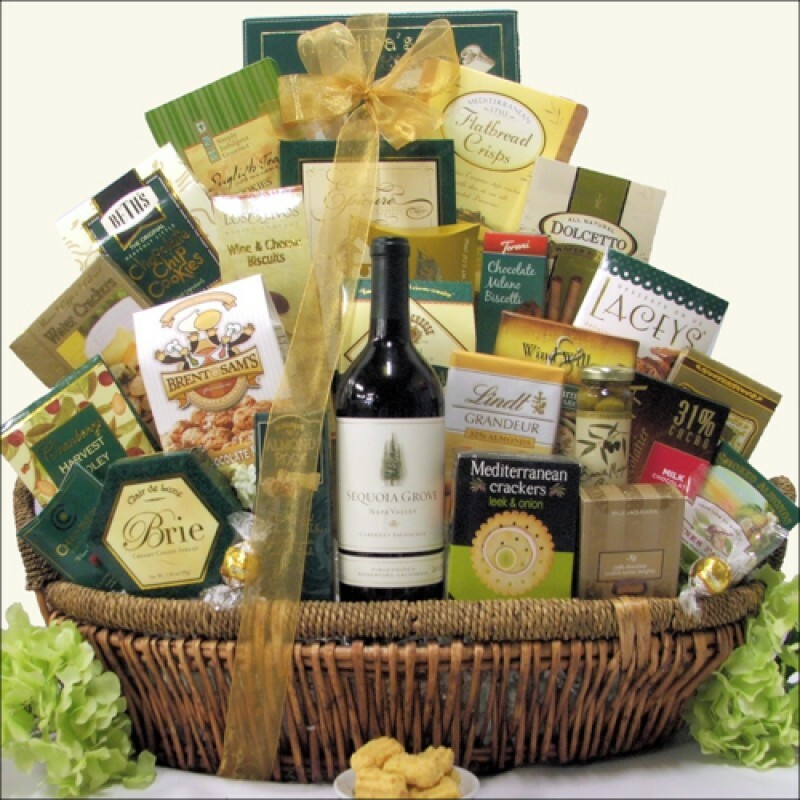 This gorgeous ''Sequoia Grove Napa Valley Cabernet Sauvignon'' Gift Basket is going to be the talk of the town upon being received. We have surrounded a bottle of smooth and rich Cabernet Napa Valley Red Wine with an array of delicious gourmet foods including, Portlock Smoked Salmon, Clair de Lune Brie Creamy Cheese Spread, Milk Chocolate Peanut Butter Delights, Crackers, Cookies, Candy and more. A great choice for friends, family or that someone special. ...in an Oval Gift Basket with Seagrass Rim.